Few people in the Western world would not have come across the term ‘Druid’. 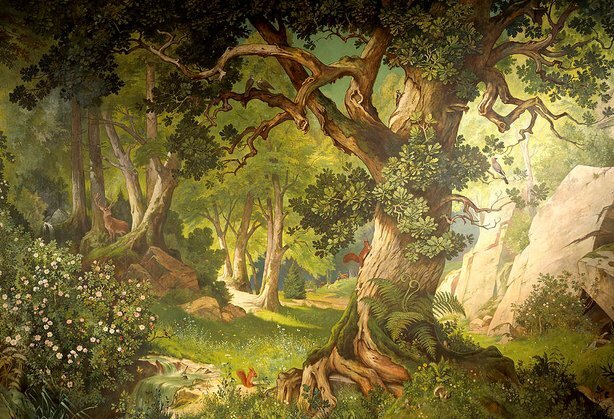 Movies, computer games and books, and the development of Neo-druidism have all made the term more popular than ever. But only few know where the term originated and what it actually stands for today. If you’re one of them – don’t worry. 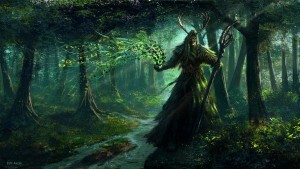 Here’s a low-down of the history of Druidism, to get you up to speed. The beginnings of Druidism are as mysterious as its practices. While Druidism is associated with the Celtic order, some scholars argue that this practice can be traced back to ancient Egypt. Although Druidism is thought to be much older, one of the earliest written accounts of this practice comes from Julius Caesar in ca. 54 BC when he served as Governor of Gaul, the Roman province that included parts of modern Europe. His writings in Commentarii de Bello Gallico depict Druidism as a fairly organised religion that originated in Britain and was ‘imported’ into Gaul. It’s evident from his writings that Druids formed a social order in society, acting as judges with power the power to inflict punishment and even excommunicate certain members from this ancient society. They had other functions too – they taught philosophy, oral traditions and oversaw sacrifices. According to these early writings, Druids did not have to join the military service or pay any taxes for it. 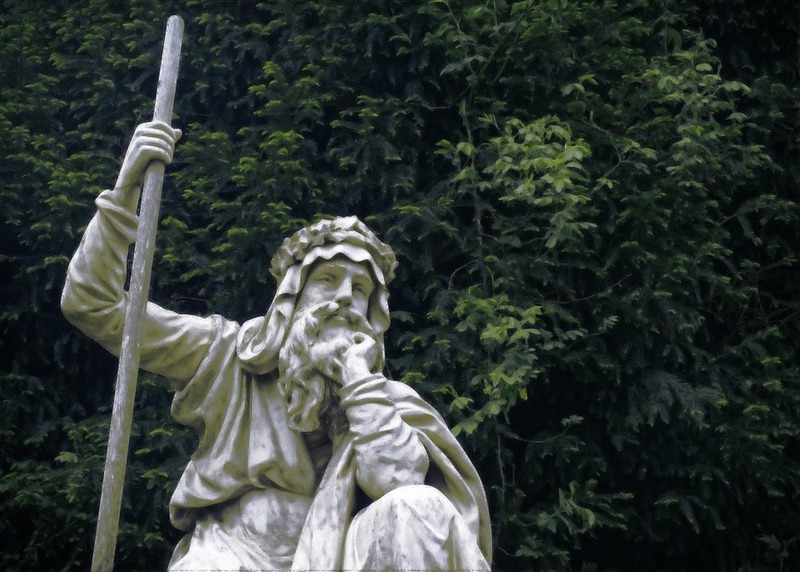 While Caesar’s writings suggest that Druidism originated in Britain, other scholars disagree. The scholar Sir William Preece drew parallels between ancient Egyptian traditions and Druidism. He wrote in the Celtic Review in 1904 that Druids “worshipped the Supreme Being and they made the Oak his symbol. Their only temple was an oak grove, an oak-tree being their holy of holies.” He argued that this is similar to the ancient Egyptian tradition whose temples had an ‘inner sanctuary’ that was the dwelling place for God. He also noted similarities between the Druid belief in the immortality of the soul and the ancient Egyptian belief in afterlife. By the 6th century, most of Europe had converted to Christianity. You may wonder if the practices of Druidism disappeared completely during this time, but a strange thing happened instead. Rather than being wiped out completely, the practices of Druidism were assimilated into the Christian rites and rituals. In fact, basing important rites (such as Christ’s birth or Christmas) on existing and familiar pagan traditions (the Winter Solstice) helped this religion spread more rapidly. This assimilation also fuelled the revival of Druidism in the 17th and 18th centuries. The ‘Revival Druids’ were inspired to identify what rites and beliefs within Christianity originated in the ancient practices of Druidism. Their search was founded on the exciting idea that their ancestors who lived in Britain and Ireland were not at all savages, as they were often led to believe by Christian clerics at the time. Instead, they were learned men who had their own set of values, world-view and philosophy, which the modern man could still learn from. Freemasons played a large part in the development of cultural and fraternal Druidism, later attracting the likes of Winston Churchill. But it was not until the beginning of the 20th century that Druidism emerged as a separate spiritual practice, with its own unique sets of values and traditions. It was led most notably by George Watson MacGregor-Reid and his group the Ancient Druid Order. What we recognise as Druidism and Wicca today, was largely thanks to the efforts of Gerald Gardner and Ross Nichols who both worked hard to develop these traditions in the 1940s and 1950s. It’s difficult to trace the beginnings of Druidism, or even the geographical location of where this practice started. Perhaps it’s more valuable to look at how the practice exists today, and the impact that it can have on the global community. In the light of the looming environmental crisis, it’s not at all surprising that Druidism, steeped in the practices that worship and respect for nature, has seen such a revival. The followers of Neo-druidism are no longer confined to the ‘ancient Gaul’ region – there is now a worldwide community of spiritual seekers, interested in the practices and revival of Druidism. One of the most notable Druid organisations is The Order of Bards, Ovates and Druids, with a large worldwide following. The organisation offers training to become a Druid and promotes a number of events and projects. Many of these are concerned with preserving the environment. One of the largest Druid organisations in Northern America is the United Ancient Order of Druids. The Druidic Dawn serves the needs of all Druid organisations worldwide, giving a voice to those who consider themselves to be Druids or to anyone who cares for the environment. Despite the large number of Druid organisations worldwide, basic principles remain at the core of all of these, and seem to have existed in the ancient world, too. These are – to do no harm unto another, to respect the environment and one another.